Barber Halves began production in 1892 to replace the Seated Liberty Half Dollar. The Barber Half was heavily used during its span and many examples are quite worn. 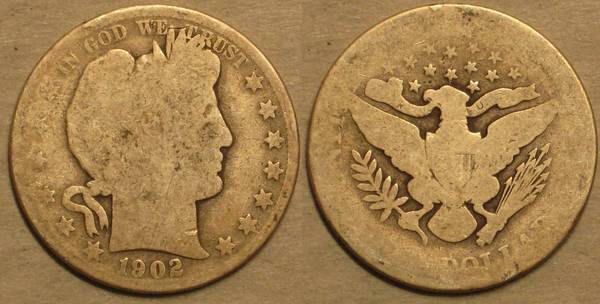 The Barber Half was used well beyond its production years circulating with the Walking Liberty Half for some time. Sadly, many look like the coin below. Well worn. These carry little value over silver melt. Barber Halves that show the "Liberty" in the head band highly desirable. If you have old silver half dollars and would like to get a price quote, please contact us for a quick and confidential quote.